This is the second article in a four part series that explores the link between fashion and the stars. (In case you missed the first part, see Zodiac Style: Air Signs – Aquarius, Gemini, and Libra.) 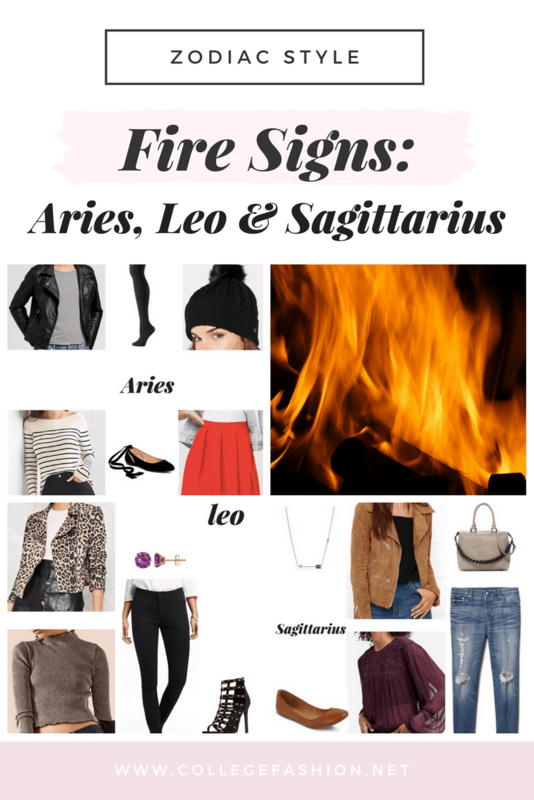 For this week’s installment, we will be looking at fire signs (Aries, Leo, Sagittarius) and their personal style. This sign likes a more masculine or sporty look with lots of structured pieces. They also love comfortable and casual basics. Rams rule over the head, so they like wearing hats, headbands and other accessories that draw attention to the head and face. Aries are fashion trendsetters and aren’t afraid to wear super-bold or daring pieces. 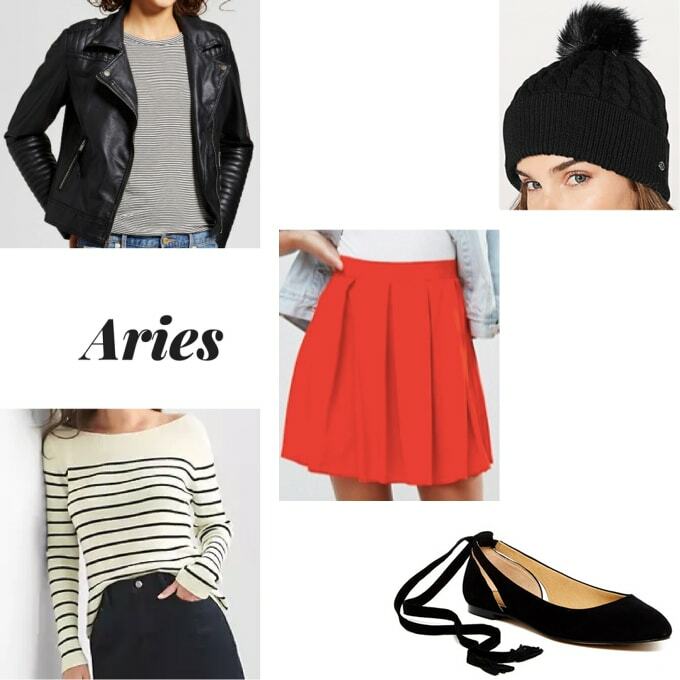 Aries girls love simple and comfortable clothes. Mix french girl aesthetic with grunge vibes for a sporty and bold outfit: Just pair a basic striped sweater with a black motorcycle jacket for a masculine yet fitted look. Many girls under this sign aren’t fans of heels, so add some simple black ballet flats to retain comfort. The beanie brings attention to the head and face. Leos love all things luxurious and are enamored by rare, exclusive or designer pieces. Big jewelry, bold patterns and sequins are all on this sign’s must-have list. They are also huge fans of animal print. This sign uses fashion to express themselves and communicate their mood. This outfit is an example of how to take the luxurious look Leos love and make it casual for day (swap the heels for flats) and nights out. The top has metallic threads running through it and adds just enough sparkle for daytime. A leopard print coat is sure to be a favorite of any Leo with its bold print. Simple black jeans elongate the legs while the studded heels add some edge to the outfit. Accessorize with some statement earrings to finish this look and add a pop of color. This sign loves to go wherever the wind takes them, so they like wearing comfortable and versatile clothing. Sagittarians are likely to experiment with all types of different trends and styles. Archers are always on the lookout for unique and one-of-a-kind pieces to wear with basics. 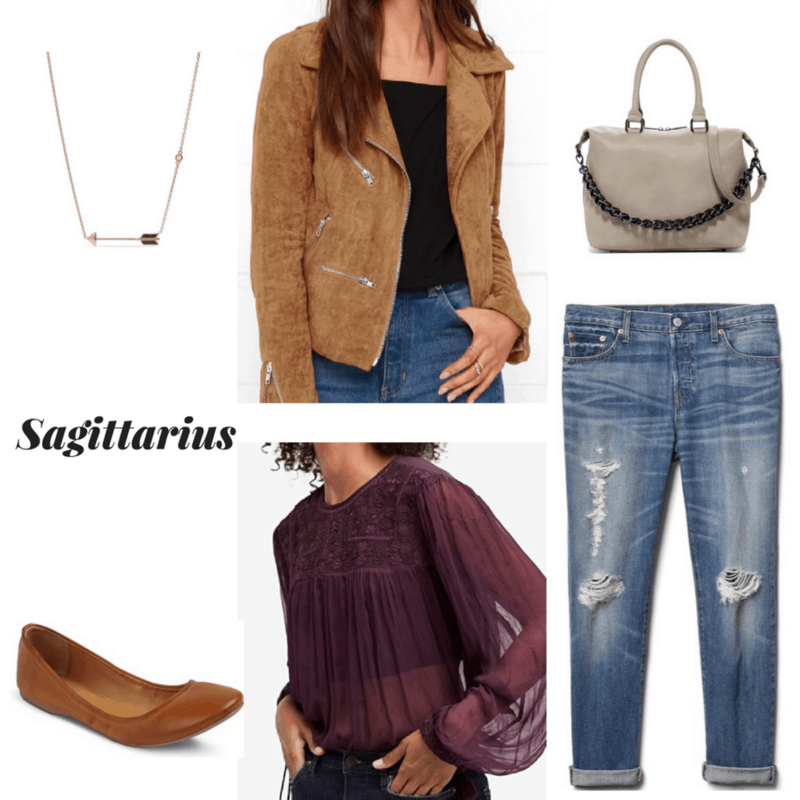 Sagittarians are all about wearing simple and casual pieces like boyfriend jeans, flowy boho blouses, and suede jackets. This sign never knows what the day may bring, so carry a large satchel to hold everything you might need. Sagittarians like wearing comfortable shoes and these flats are both stylish and comfy. Accessorize with this unique arrow necklace as a nod to your star sign. Do you believe in astrology? Are you a fire sign? If so, does your style resemble your zodiac sign? 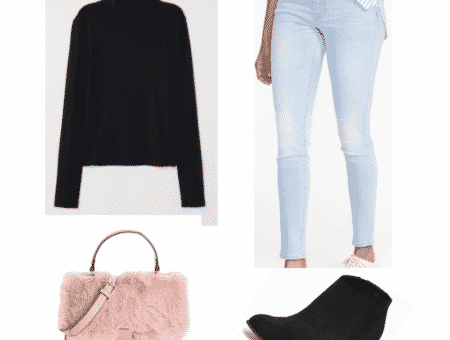 Would you wear any of these outfits? 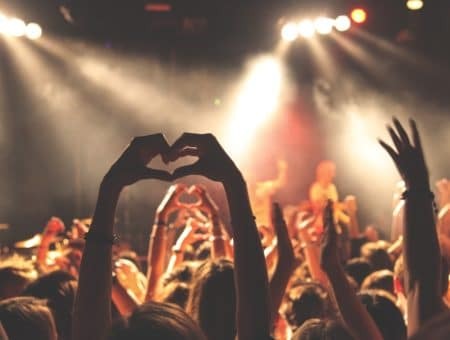 Do you admire a celeb who shares your zodiac sign? Leave a comment to let us know and be sure to keep an eye out for the future installments! Editor’s note: This post was originally published in 2010; it was completely updated and revamped in 2018 by Sharon with new photos, outfit sets, and information.